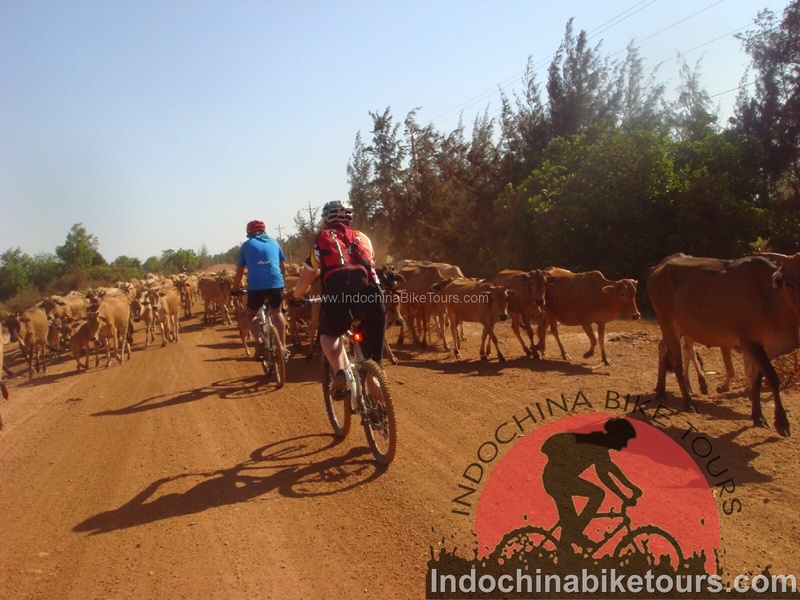 The Cambodia Bike Tours 10 day trip starts in Siem Reap where mountain bikes are prepared and the guide will brief on the cycling tour. 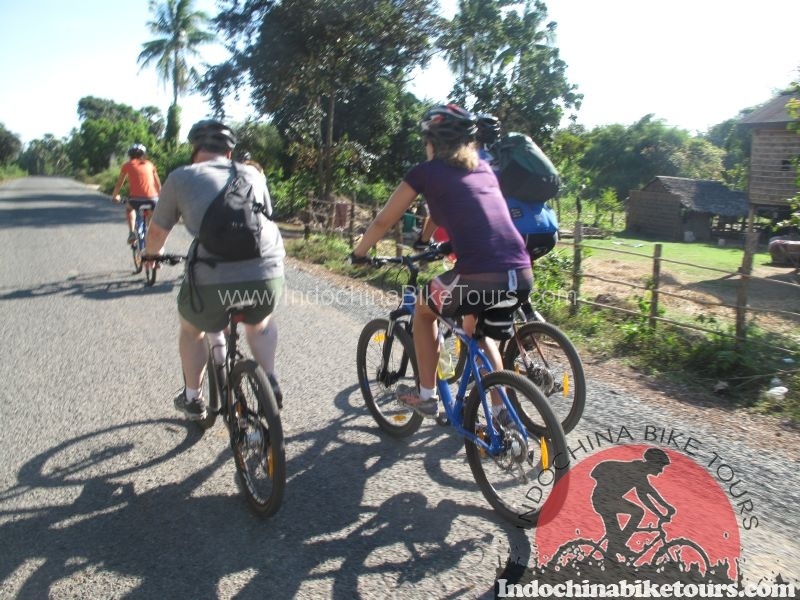 Discover Angkor temple complex both on the back road and shady road with tree lines. There are one temple in every km, so it won’t be boring. From Siem Reap, we will cross Tonle Sap lake by boat to see the floating village. 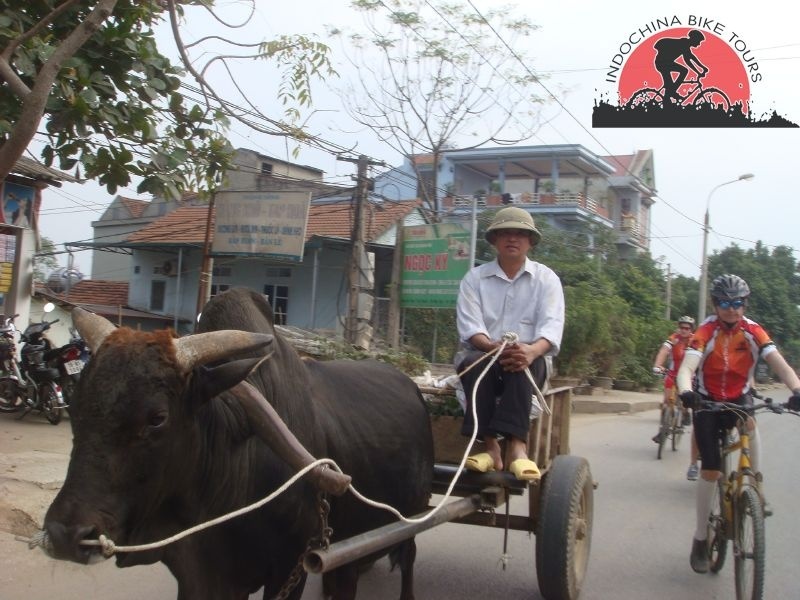 During the Cambodia Adventure trip, you will be able to have local experience taking the bamboo train in Kampong Chhnang, then cycle the beautiful part of the countryside to Phnom Penh.We ride approximately 517 km mostly on off roads and sometimes broken road or vehicle-width dirt roads, which may be smooth, gritty, stony, rocky, rutted, loose or hard-packed.The trip is one of the best trip to explore the whole Cambodia on the 2 wheels. We visit not just the Angkor historical park but also Phnom Penh and the southern part of Takeo, the former capital of Khmer Empire in the first century then the beach from Kep, Kampot to Sihanuk Ville. Upon arrival and after clearing immigration and customs, be transferred by our local guide to hotel for check in. 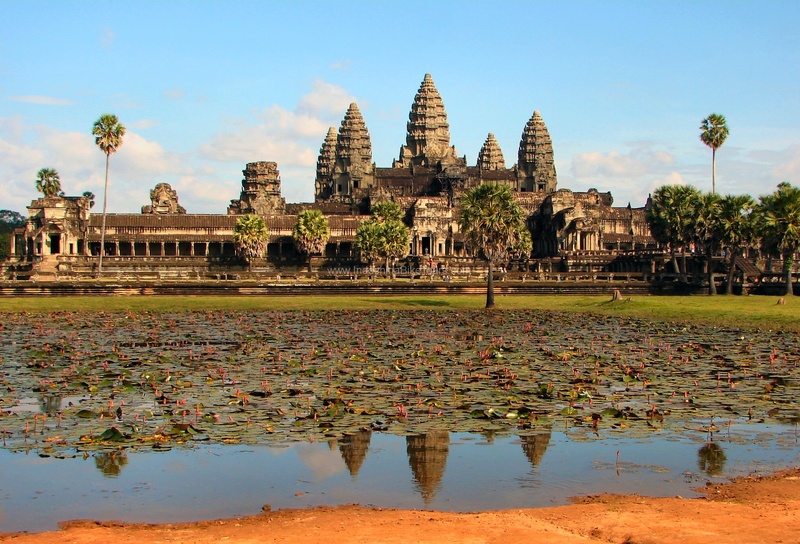 Siem Reap orientation, biking along the Siem Reap Riverside, and visit the Fruit-bat in front of the Residence of King, late afternoon we drive to visit the biggest religious temple in the world – the magnificent Angkor Wat. Built by Suryavarman II in the early 12th century, Angkor Wat is considered a masterpiece of Khmer architecture until unset. Breakfast at hotel, we head towards the small village of Roulous and leave the crowds behind. 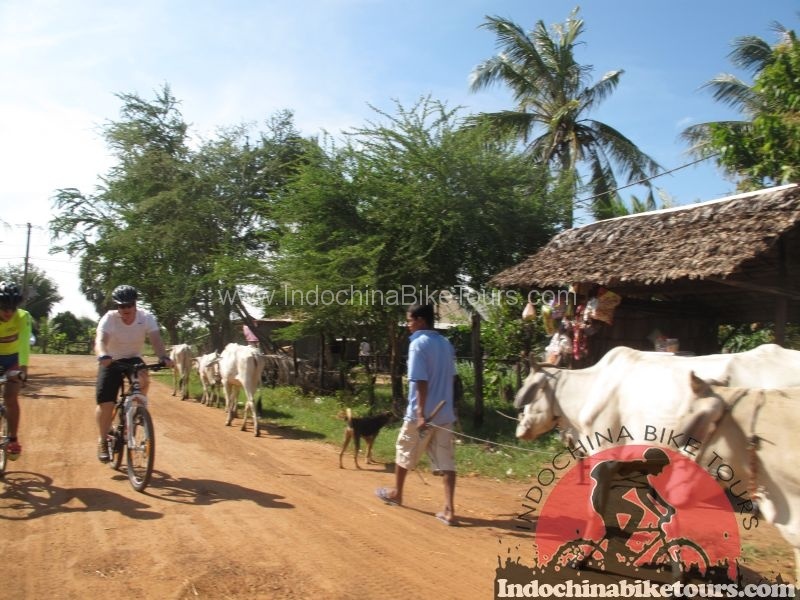 This beautiful 15km ride leads through rural Cambodia and offers plenty of opportunities to once more connect to the local people. 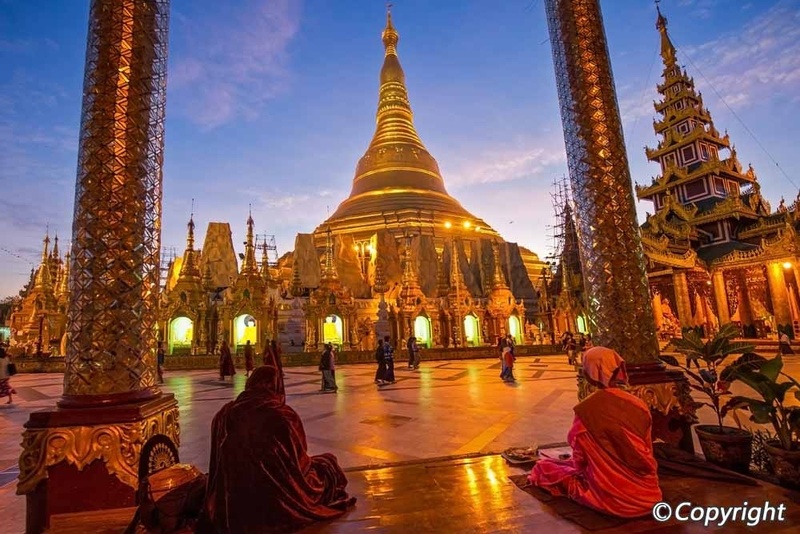 Upon reaching Rolous we have plenty of time to explore the three temples of this area. Roulous is the oldest set of temples in the Siem Reap area, dating back to the 8th and 9th century and their architecture is different from the other temples of the main Angkor area. Before continuing our ride, relax and enjoy a snack. A comfortable 8 km drive takes us to Kampong Phluck, a beautiful floating village with a submerged forest. We enjoy a boat tour around the village and soak in the culture of floating life, a unique experience. 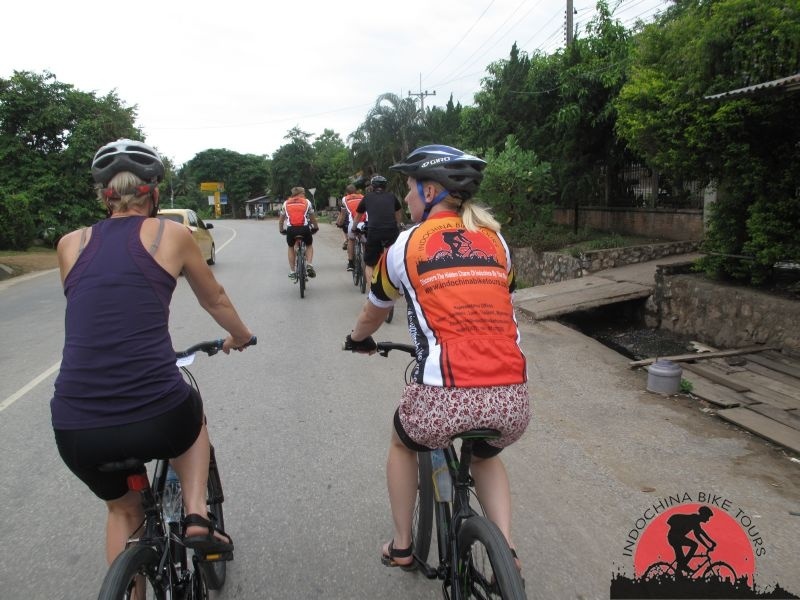 After enjoying lunch in a local house and exploring the floating forest, we return by bike back to Siem Reap and one the way we will stop to visit our orphanage for sometime. Breakfast at hotel and transfer by our private bus along the main road No. 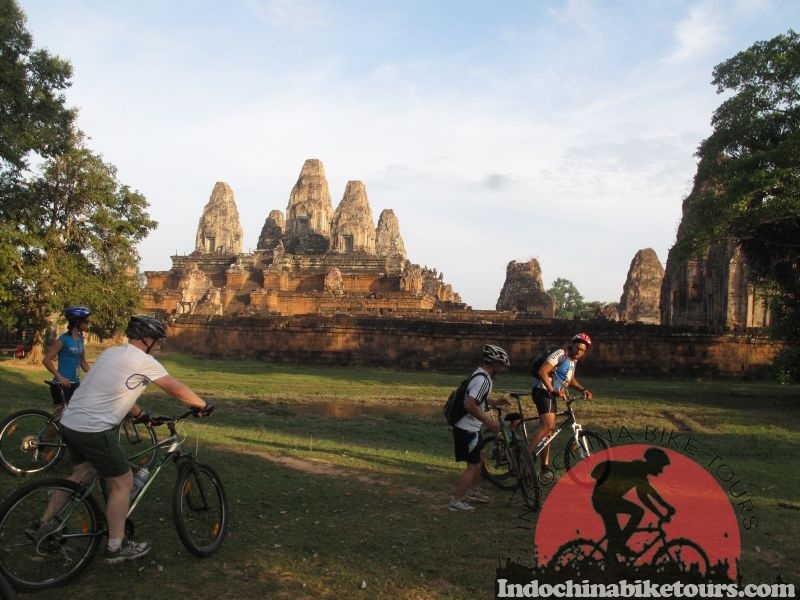 6 then we will ride our bikes to visit the Sambo Prekuk Temples on the back road. Later afternoon proceed to Khmer Homestay village for overnight. Breakfast at hotel and transfer by private bus and guide to Kompong Thom, off the main road in near Kompong Thmor District where we will start biking to Kompong Cham via the villages, countryside and robber plantation. On arrival at Kompong Cham, visit the local market and Mekong River. 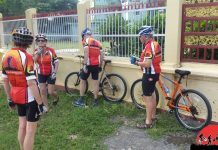 Breakfast at hotel, today we will do our biking to visit the ancient house village, countryside and many Angkorian as well as post Angkorian sites, some of which are Wat Ek and Wat Toul Bassaet, Phnom Sampov, the BAT CAVE and we will have an amazing experienced with Bamboo train before we come to hotel. Breakfast at hotel, upon leaving the town we set off on scenic trip crossing Tonle Sap Lake to Siem Reap by private boat (March – August the lowel of water is not possible for boat to ride, we will transfer by our private bus instead), our base for visiting the world famous temples of Angkor. No express boat so we travel by local boat navigating along a large river system and small canals before arriving on Tonle Sap Lake. The journey is long, but very interesting since we pass by floating villages, friendly children on small boats and fish men at work. 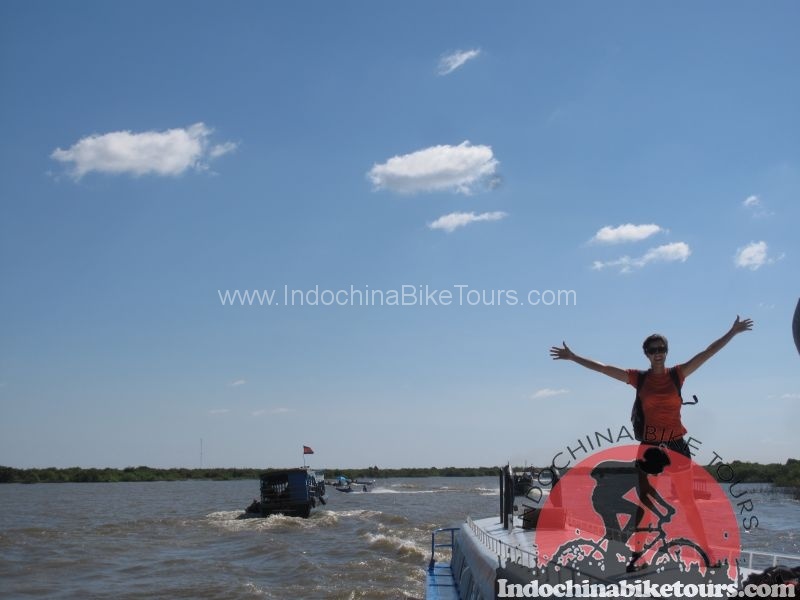 On arrival at the Siem Reap port we will do our short distance biking from Tonle Sap to Siem Reap for 13km along the Siem Reap river bank to hotel check in. We will enjoy our farewell dinner at one of the good Khmer restaurant in Siem Reap. .